HZG Series Revolving/Rotary/Rotating Cylinder/Drum Dryer - Changzhou Fushite drying Engineering Co., Ltd.
Mostly the machine is used in per burning of rigid magnet oxygen Pulverized fodder; it is also suitable for the cement, metallurgy and Chemical industry. It is made up of main kiln body and supporting Drive set cooling pipe and supporting drive set, fuel system, electricity Control secondary air set, exhaust dust set and warm-up kiln body etc. The machine has function like: give an alarm for over temperature, give an alarm for over loading, auto control for working temperature, oxygen atmosphere is adjustable in the kiln etc. When the damp raw material is fed from one terminal, it is turned over through blades that are distributed inside the cylinder and will be distributed uniformly in the drier and contact fully with the countercurrent hot air. In this way, the process of heat conduction is increased. During the period of dry, under the effect of incine blades and hot air stream, raw material can be moved to the star section of drier and discharged from disharged form discharging valve. 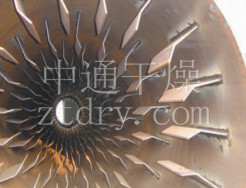 ● It is suitable for drying the following raw materials. They are granules with heavy specific gravity in chenmical industry, mine industry, metallurgy industry such as ore, slag, coal, metallic powder, phosphorus fertilizer, ammonia sulfate. ● Raw materials that need low temperature and in batch continuously. ● High in the etent of mechanization and strong in production capacity. ● The resistance for fluid passing through the cylinder is small. The consumption of power and energy is low. 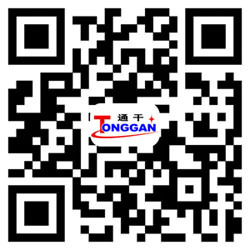 ● It has strong adaptability to the properties of raw material. The operation is stable. The cost of operation is cheap. ● The uniformity of dried substance is good.